Copyright 2010-2016 © Ralph Thornton, Ear Mountain Photography. All Rights Reserved. 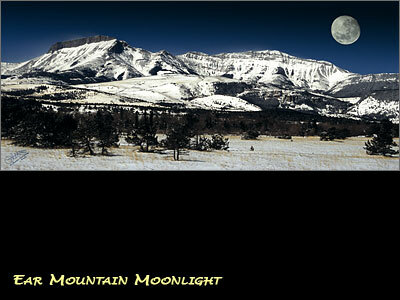 Ear Mountain Moonlight was made in January 2004 from the junction of the Teton Canyon Road and the road to the South Fork of the Teton River west of Choteau, Montana. 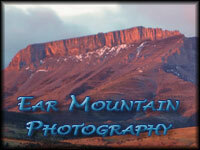 I've been waiting over two years for just the right conditions to make a moonlight photograph of Ear Mountain. I wanted a bright full or near full moon, a clear sky and ample snow cover. All these came together for this photograph. The 20 mph wind and minus 15 F temperature made things just a little more difficult. While preparing the camera for each exposure the cold numbed my hands and drained the camera batteries. I hastily retreated to my warm pickup while making eight 15 minute exposures. Sharp observers will note the plumes of powder snow blowing off the summit. My longtime mountaineering partner Bill Blunk and I had just returned to our high camp after climbing Longknife Peak on the Canadian border. 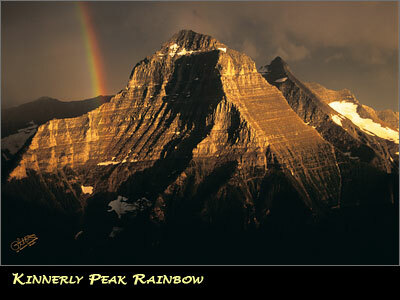 A large thunderstorm moved behind Kinnerly Peak. The late afternoon sun created dramatic lighting and the beautiful rainbow. A perfect piece for living room, den or office. Big Timber Creek tumbles over a series of falls and cascades in the Crazy Mountains north of Big Timber and Livingston. 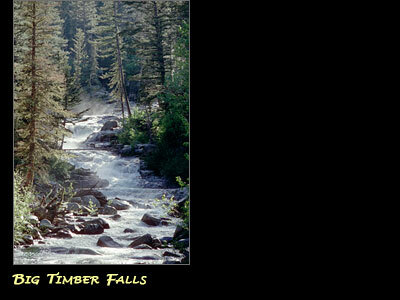 Spring runoff from a heavy winter snowpack brings the falls to life each June. 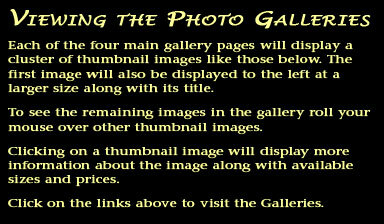 This photograph has great detail and is an excellent image at larger sizes. 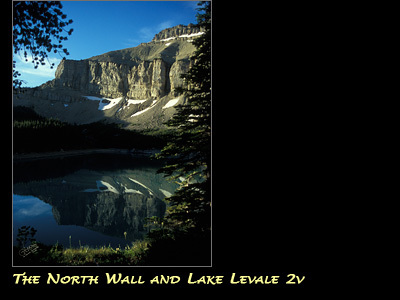 The images of Lake Levale were made in July 2005 during a nine day mountaineering adventure in the Bob Marshall Wilderness west of Choteau, Montana. Lake Levale is framed by dense forest and the stunning cliffs at the north end of the North Wall, a feature similar to the Chinese Wall further South. On this rare day the lake was calm and only a few clouds punctuated the blue sky. Both images have identical dimensions.